Google+ is a major social network. According to a recent article in Forbes, Google+ is in second place after Facebook and a bit ahead of Twitter. That means that Google+ isn't a ghost town -- it's a place for millions of people to share content and comments every day. And just because your phone is from Apple, you should not feel like a second class citizen. Google just announced their new Google+ iOS SDK v1.4.0, offering a solution to developers who want to offer an in-app share box, to share content directly into the Google+ stream, including text, photos, and URL attachments. The new share box appears entirely within the application, so there's no need to switch to a web browser -- which makes the user experience much smoother and less disruptive. The new Google+ iOS library also introduces ID token support, which means that iOS apps can now verify users against the Google+ identity database. 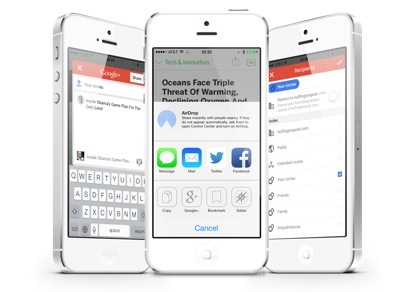 This feature lets Apple phone users quickly and easily log into their Google+ accounts with a fully native experience. At HuffPost we were excited to have the opportunity to be one of the first developers to integrate the new Google+ iOS library in to our universal iPhone/iPad News app so that Google+ users will feel right at home. Our HuffPost iOS development team is a hardy band of crack engineers used to working hard on tough technical problems. We laugh in the face of computational complexity. We scoff at recursive function calls. We enjoy building fully native mobile apps from scratch with Objective-C and Automated Reference Counting. But the results are a beautiful Google+ sharing experience that works well for Apple lovers who love Google! For many iOS users the Google+ iOS library is a small, incremental change. 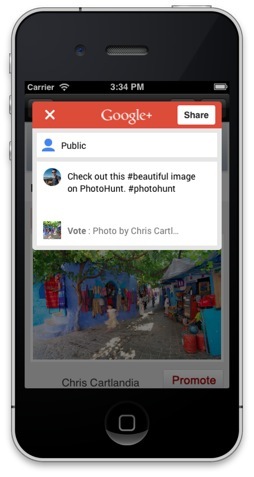 But for Google+ users with iPhones and iPads it's a huge step forward for sharing to their favorite social network. At HuffPost we're committed to keeping our mobile applications up-to-date with all that Apple and Google are doing. The mobile world is rapidly changing and our developers are working with the latest tools and technologies to keep HuffPost readers in the loop.